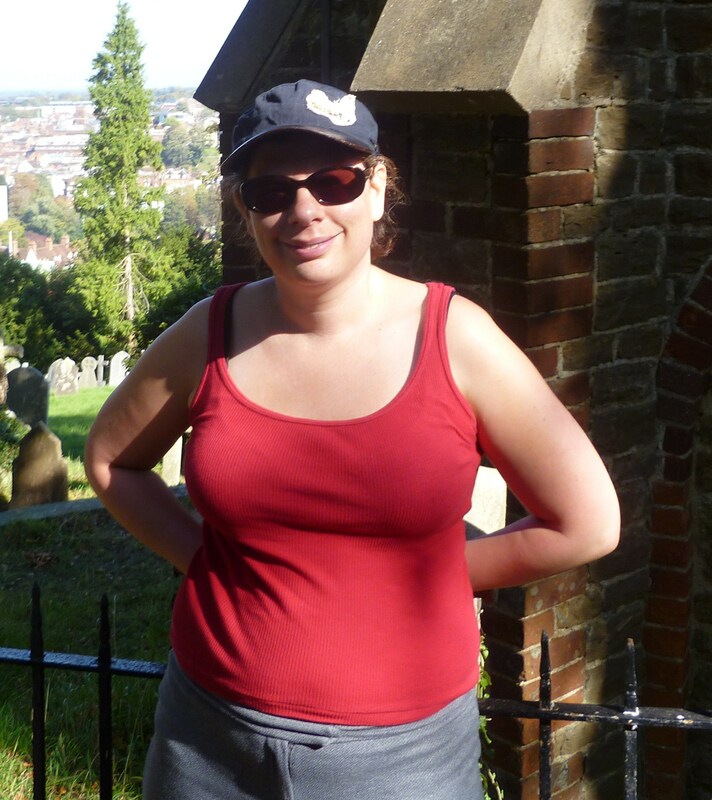 “I first started training with Mark in about November 2009 when I had a goal of losing 10lbs in 6 weeks before going on holiday and then starting a new job. It was ambitious, but with having weekly one to one training sessions with Mark, getting a full assessment and advice on my eating habits, and suggestions for workouts in between our training sessions, Mark helped me meet my goal. I returned to training with Mark in mid-October 2011 shortly after he started running morning “bootcamp” sessions in a park in central London three times a week. Over the previous two years I had undone the excellent progress I had made – stress and health problems led to me rarely exercising and returning to bad eating and drinking habits. 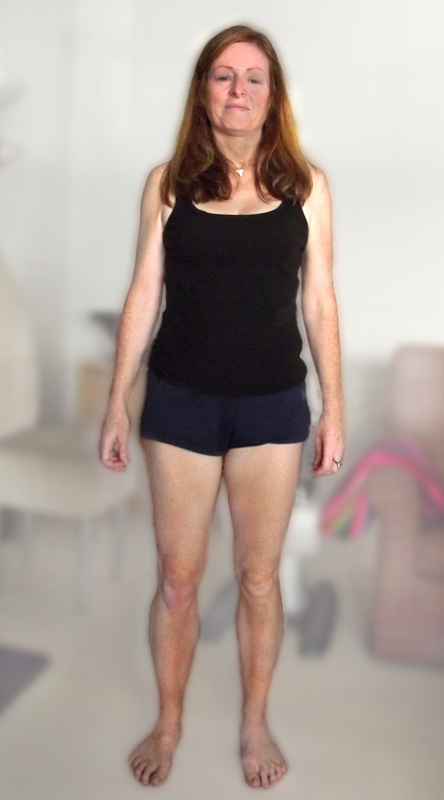 I was at my highest weight (189lbs) and not feelingvery good about myself physically – it was time for a change. I had started cycling to and from work, but it wasn’t until I started attending bootcamp sessions with Mark that I started to see and feel a change. Mark had me keep track of all the food and drink I was consuming so he could review it and give me advice – I learned that what you are putting into your body is just as important, if not more important, than exercise, and you won’t see progress unless you combine both. By attending Mark’s bootcamp three times a week and following his advice on nutrition, I have consistently lost about 5-6lbs a month, for a current total of 35lbs from mid-October to early June. I’ve gone down two sizes and three belt loops. Although the sessions are called “bootcamp”, it isn’t as scary as it might sound – Mark is always encouraging and supportive and works on the basis of positive reinforcement to get the best out of clients. Attending the sessions are great fun, as they are different every day. I never thought I would enjoy getting up early to exercise, and I never imagined myself exercising outside through the winter, but now I can’t imagine doing anything else. Mark goes above and beyond the call of duty – I know I can email or text him at any time with questions about exercise or nutrition and he will always respond quickly with helpful information, or a promise to research it and get back to me. He checks up on what I am eating through my online food diary and continues to provide advice and support. “I don’t think I appreciated how skilled, knowledgeable and up to date Mark is about his stuff. 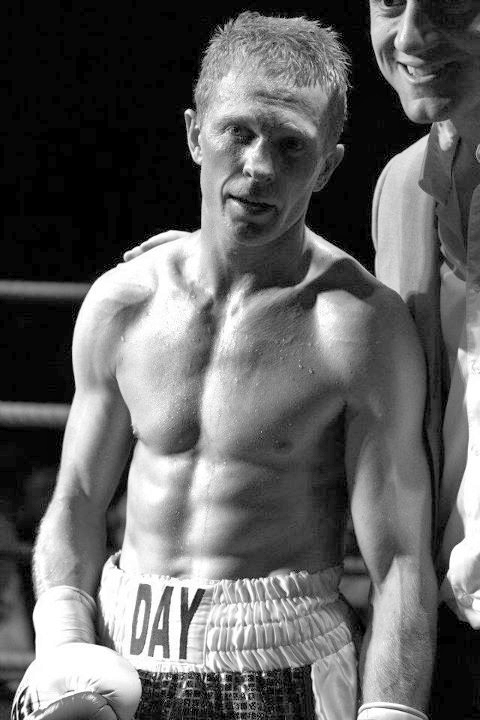 I had to unlearn my karate posture and habits and become a boxer in eight weeks, while gaining that boxers muscle mass, shape and definition for a film I was about to shoot. Not only did Mark do this beyond a level I expected, I am still showing off a set of abs I’ve never seen before! I daren’t break away from the eating regime he weened me onto for fear of losing them. peak fitness condition. I have never EVER been that fit, with the conditioning different everyday. 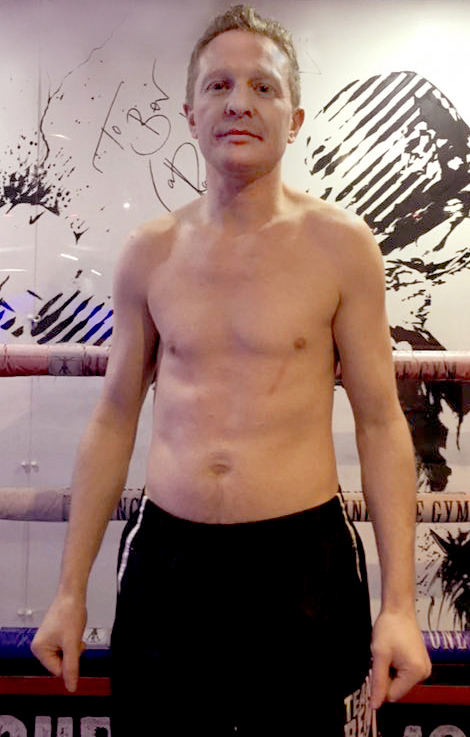 I was super fit, which showed in my sparring and the actual fight. With Marks attitude and constant research during preperation he helped me become victorious. I even had a hamstring injury and felt like pulling out because I thought that to be fit you had to run , now I know different; with Marks training methods I didnt even run once and I was the fittest I’ve ever been. 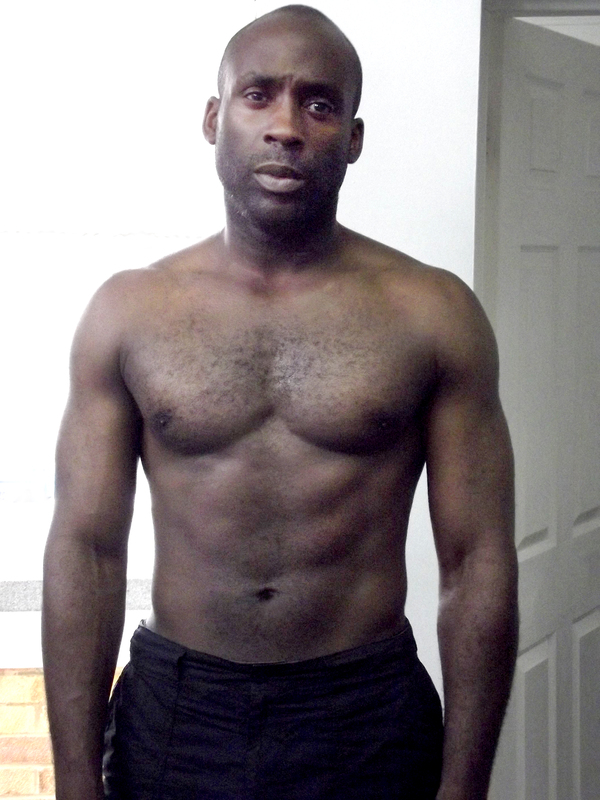 “I started training with Mark after doing some of his circuit training classes. I knew from those classes that his personal training would be hard work and professional and that I would never get bored. From the first meeting he discussed what I wanted to achieve from training and put together programmes that allowed me to meet my goals, all with great encouragement along the way. He is very knowledgeable about all aspects of fitness and nutrition and devised eating and training plans for me, as well as helping with my motivation and being available for advice between sessions. In training, he keeps the programmes fresh and also knows when you need to ease up and when you can be pushed further – and its all done with a great attitude which makes it enjoyable. Having thought I wasn’t cut out for boxing training, I now absolutely love it because of his training style. My goals changed as my training developed and the programmes he put together changed with me, helping me building strength and stamina and improving my overall fitness levels. “I can’t think of a better trainer than Mark Rahaman. 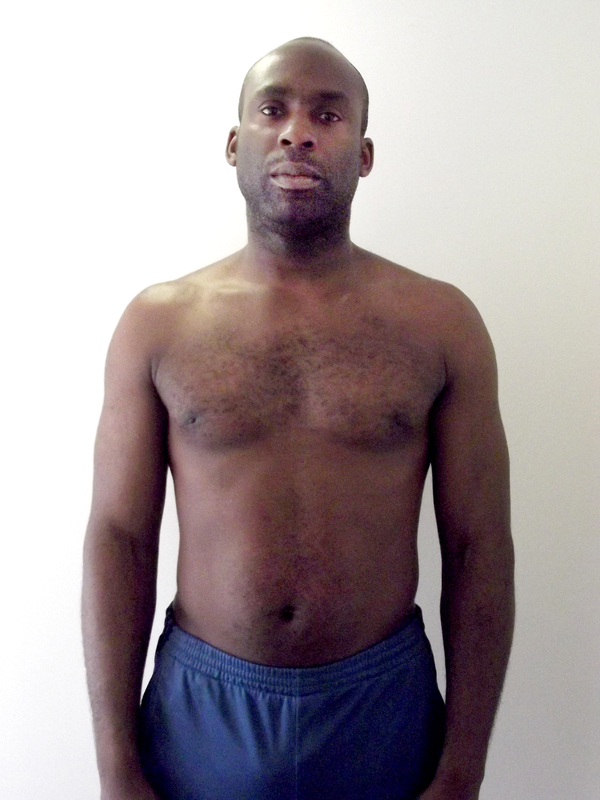 I trained with him from 2006 to 2010 when I moved away from London. I am one of the world’s least sporty people but I actually enjoyed training with Mark. Although he takes training very seriously, he is also good fun and approachable. I never felt uneasy about asking him to slow the pace or reduce the weight load but equally – on the other hand, he can be quite tough and I can easily imagine him doing his work with boxers! 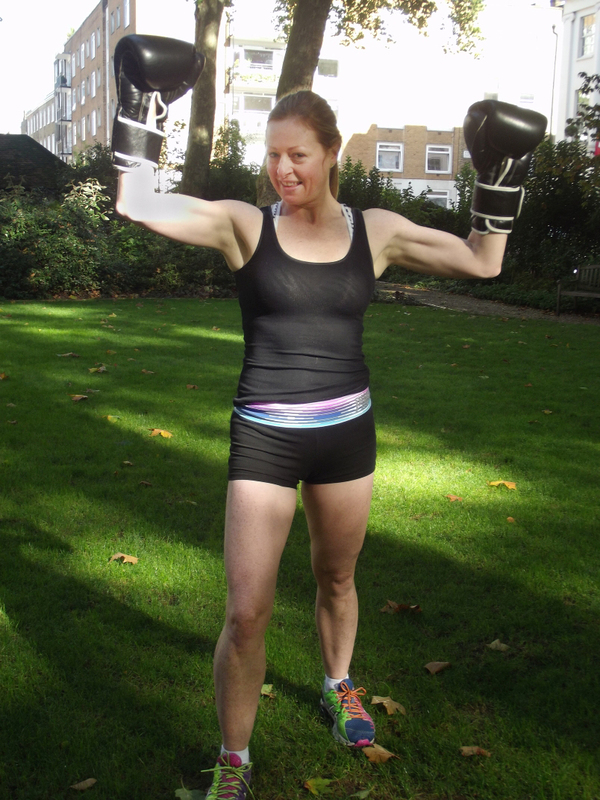 In fact, Mark introduced me to boxing as a workout – not the automatic choice for a middle-aged woman but I loved it! As well as being an extremely professional and approachable trainer, Mark knows an astonishing amount about the way the body works. He could always deal with injuries or weaknesses and on the rare occasions when he wasn’t sure, he always went off and researched the topic until he was.